Pefferlaw Creek Farms is a family run Ontario farm business with a rich tradition of Maple Syrup production that runs long through the Tomory family. Four brothers, Tony, Ben, Gene and John manage this small business, truly making a lifelong passion into a profession. The brothers have been making Maple Syrup since they were boys at their family woodlot in Stouffville. They acquired engineering degrees from Ontario universities and began working in their respective fields. Out of their spring time hobby, trudging through deep snow, carrying heavy buckets of fresh maple sap to a small 100 liter evaporator developed a tremendous opportunity with the purchase of the family farm. The farm boasts a beautiful sugarbush with maple trees well over 100 years old. What started as a fledgling business at the family farm has now expanded to three different local forests. Two of the bothers quit their engineering jobs to work on the farm full time and have devoted their careers to the passionate crafting of one of nature’s healthiest sweeteners. Pefferlaw Creek Farms produces the finest 100% pure organic maple syrup and now focuses on working with customers with likeminded values, such as supporting small local business, sustainably harvesting the products of the land and bringing Ontario farm produce to our tables. Pefferlaw Creek Farms maintains traditional maple syrup production techniques, making use of a wood fired evaporator to process the sap, while integrating new technology to improve sanitation and quality control. All of our maple syrup is produced at the family farm located very close to Toronto and just north of Uxbridge, Ontario. 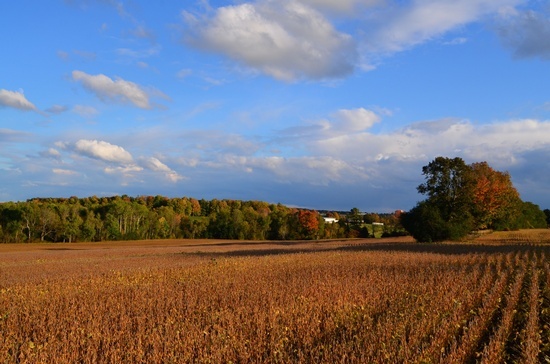 The family farm is 200 acres with a significant portion of farm land and about 40 acres of sugar bush. The lovely Pefferlaw Creek passes through the property and serves as an inspiration for the name of our business. Working with a number of other local landowners, three other forests within a 30 km radius of PCFarms are part of the sap collection network. 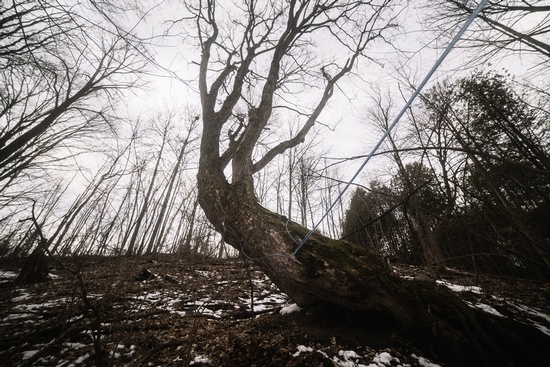 For a total of about 160 acres of sugar bush, the sap from these forests is all brought back to home base where it is processed into maple syrup.